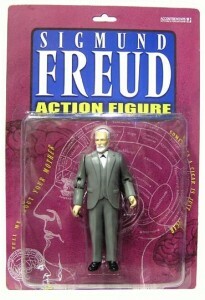 Sigmund Freud – I can’t imagine creating a children’s action game with an Austrian neurologist ; perhaps invite a friend round and theorize about the unconscious mind and the mechanism of repression. Hours of fun. 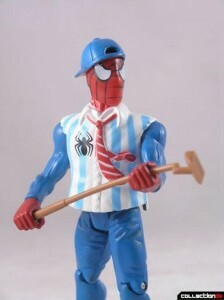 Spiderman Golfer - you can’t get further from the action of one of the world’s greatest superheros than giving him a 5 iron and pretending he can golf. 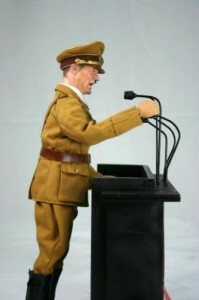 Hitler – Lots of action to be had with this mid century, mass murderer. 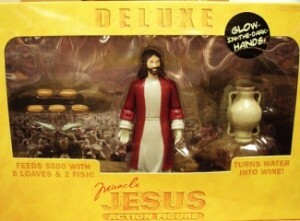 Deluxe Jesus - don’t get the regular one, get the one with glowing hands, 5 loaves and 2 fish. Love the notion that Jesus comes in various versions. 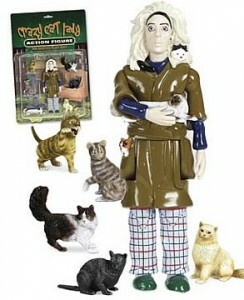 Crazy Cat Lady – the only action you’ll get if you buy this, is staying awake & comforting your terrified children during the night. A scary woman. 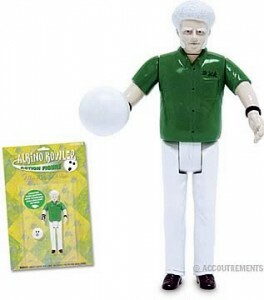 Obsessive Compulsive Disorder Action Figure – he looks worried but so should you, because he comes with a mask to avoid germs, and a moist towelette to also reduce germs.